”If we don’t act now, needs will increase, making it even harder to respond,” says Stephen O’Brien (Twitter). The UN has warned of the risk of genocide in the Central African Republic (CAR), saying the situation there has deteriorated in recent months. “Violence is intensifying, risking a repeat of the devastating destructive crisis that gripped the country four years ago… The early warning signs of a genocide are there. We must act now, not pare down the UN’s effort and pray we don’t live to regret it’,’ Stephen O’Brien, the UN aid chief, said on Monday (7 August). 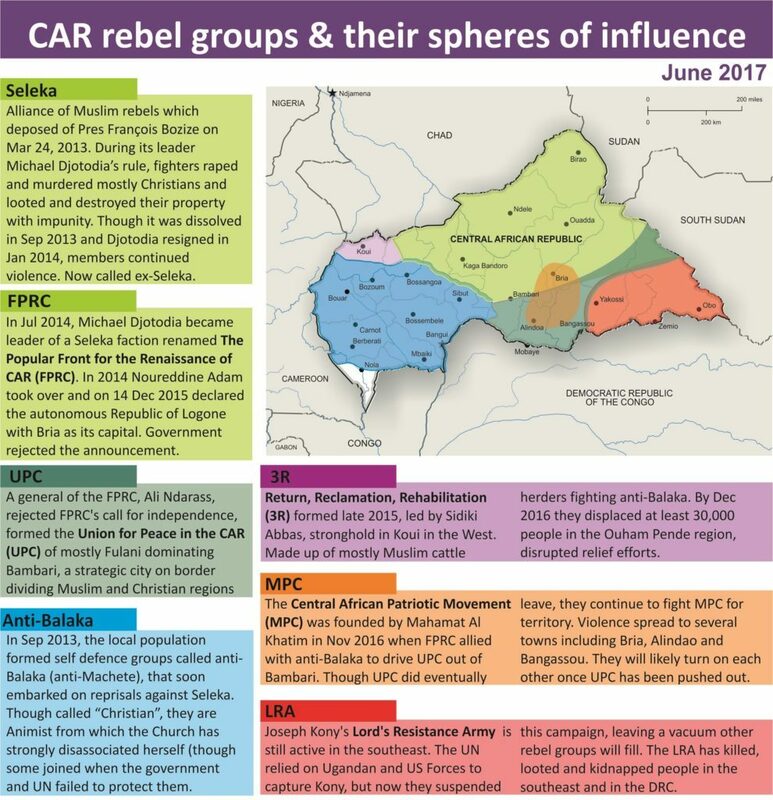 After a period of relative calm, following the election of President Faustin-Archange Touadéra (in Feb 2016), violence has resumed in CAR, with a spike in May, as more than 300 were killed in clashes between armed groups. ”It is all too clear to those on the ground: it is time to authorise an increase in troops and police personnel to enable MINUSCA [UN Mission to CAR] to deliver on its critical protection mandate. We must act now to contain this crisis,” O’Brien told a special UN briefing, following his 16-21 July mission to CAR and the neighbouring Democratic Republic of the Congo (DRC). ”I am extremely alarmed by the increased scale and atrocity of needless and brutal violence in the country since the beginning of 2017 and especially concerned about the resurgence of inter-communal violence, incited by armed groups and predatory politicians, that has broken out in Bangassou, Zemio and Obo in the south-east, as well as the crisis in Bocaranga in the north-west, to name a few. World Watch Monitor reported about the recent violence in Bangassou, 700km from the capital, Bangui, on the south-east border with DRC. In 2014, the UN warned about the risk of genocide in the Central African Republic, pointing at “extraordinary vicious levels” of violence in the country. 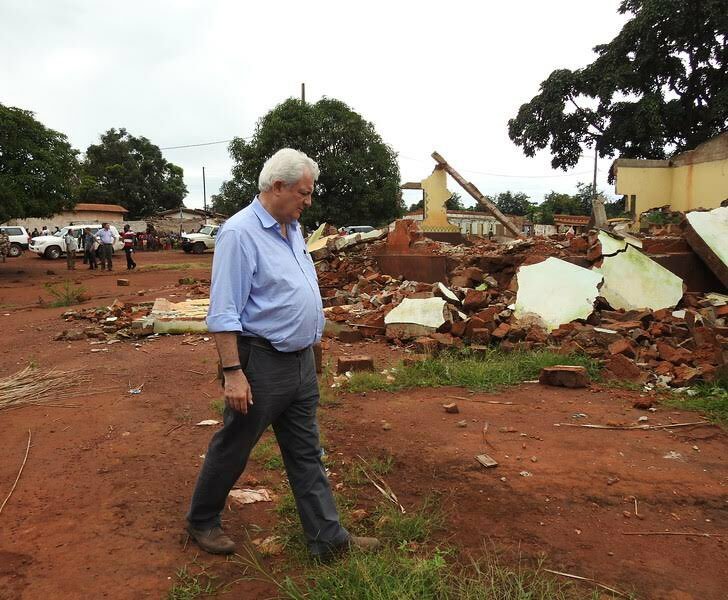 Fighting between the mainly Muslim Seleka alliance of rebel groups and their “Anti-balaka” adversaries – for control of the country’s mineral wealth – has dramatically aggravated the humanitarian needs in what is already one of the largest humanitarian crises in the world, points out O’Brien. Some 180,000 have been displaced by recent violence this year, bringing the total number to over half a million. The Central African Republic has the largest population in need per capita: 2.4 million people – representing half the population – are in need of humanitarian aid to survive.